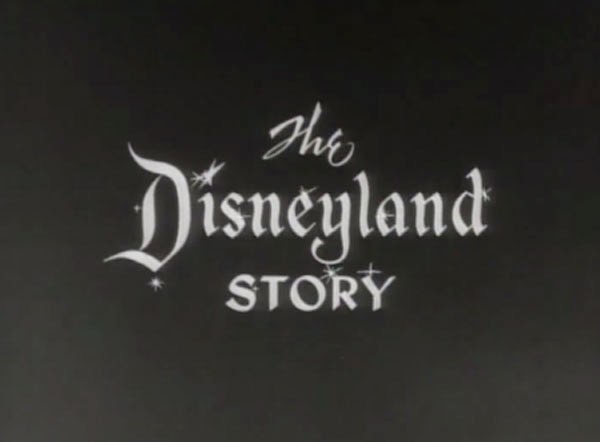 TCM aired "The Disneyland Story", the 1954 pilot of the Disneyland TV series, as part of its "Treasures from the Disney Vault" series on December 21st. When Disney and Turner Classic Movies (TCM) announced their partnership in November, the headlines focused on TCM’s sponsorship of The Great Movie Ride. This signature attraction of Disney’s Hollywood Studios needed a refresh, and there was no partner more fitting than TCM. What’s interesting is how those stories buried the lead of the real value. On December 21st, TCM aired a full night of programming from Disney’s past that included full-length movies, TV episodes, and animated shorts. This diverse selection offered something for everyone and showed the potential to tackle every corner of Disney’s rich history. Everyone knows the animated classics, but it’s easy to forget all the other releases from Walt Disney and his company. This series will take a look at the offerings of the first “Treasures from the Disney Vault” event and how the various films and shows play today. It seems fitting that my first entry covers the pilot of the Disneyland TV series, known more commonly as the Wonderful World of Disney. Titled “The Disneyland Story”, this hour-long episode offers a peek at plans for the Disneyland theme park. That’s really just a small part of the goals for this presentation, however. It looks back at the history of the company and sets the stage for the entire series. Walt was a brilliant marketer of his products, and we shouldn’t downplay the commercial benefits of this show. He’s able to sell the public on his dream project while connecting us with Walt the individual. It’s no accident that people still identify Walt with the jolly character that he plays on this series. It’s a friendly version of him that removes all the rough edges and sells the “magic” of Disney’s creative enterprises. Beyond the interest for Disney fans, there’s enjoyment in this episode for anyone intrigued by early TV. It opens with old-school sponsorships from American Motors Corporation (who?) and Derby Foods, the proud makers of Peter Pan peanut butter. It’s a nice touch that places the episode in a much different era. The original air date was in late 1954, and we receive a cool window into the period. A helicopter shot reveals Walt Disney Studios in Burbank, and a narrator describes the bustling activities of that famous site. Kirk Douglas and James Mason shoot 20,000 Leagues Under the Sea, animators sketch a model for Sleeping Beauty, and the music department creates odd sounds for the films. It provides a glimpse behind the scenes, though everything is choreographed specifically to create a certain mood. Davy Crockett was an extremely popular character for Disney in the 1950s. Walt first appears in front of a framed photo of Mickey Mouse, who will play a key role later in the episode. Walt’s only 52 and looks younger than we remember him, but the warm demeanor is familiar. Any time he starts talking about Disneyland, his enthusiasm shows just how much it excites him. Walt reveals an incredible 1/4-inch scale model of Disneyland that should thrill any theme park fans. The camera scrolls down Main Street, and it really sells the charm of the future site. With a title like “The Disneyland Story”, it feels like we’re in store for sequences like this one throughout this feature. Instead, the park is really just a model for the series to follow. The Frontierland section sets up the upcoming episodes on Davy Crockett more than anything at Disneyland. Star Fess Parker even appears for an awkward performance of “The Ballad of Davy Crockett” in front of a fake log cabin. This moment reveals the shift into a full-fledged commercial for this show and Disney in general. The Adventureland and Tomorrowland sections set up future episodes on nature and space, but they quickly fade from memory when Walt reveals a clip from Song of the South. Bob Iger and Disney management today would like to forget this film exists due to its controversial content. Sixty years ago, Walt gave it a prominent place on his new TV series. The sequence has Br’er Rabbit outsmarting the mean Br’er Fox and dim-witted Br’er Bear and escaping their clutches. Although I’d like to see the complete film get released, Disney’s hesitance is understandable. Br’er Rabbit and Br’er Bear are racist stereotypes and presented as laughing fools in this segment. 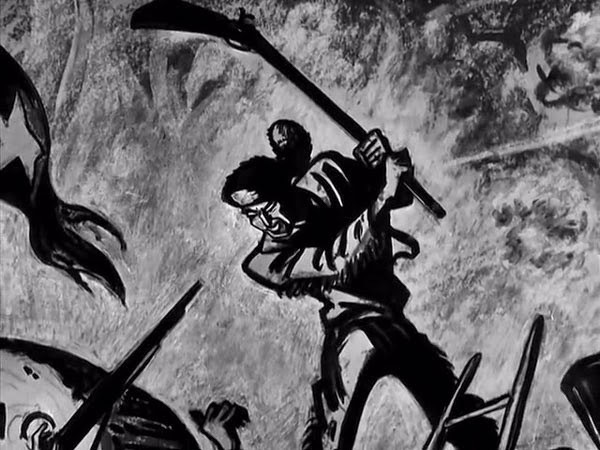 There’s still historical value in showing Song of the South to modern audiences, and this partnership with TCM could offer the right opportunity. 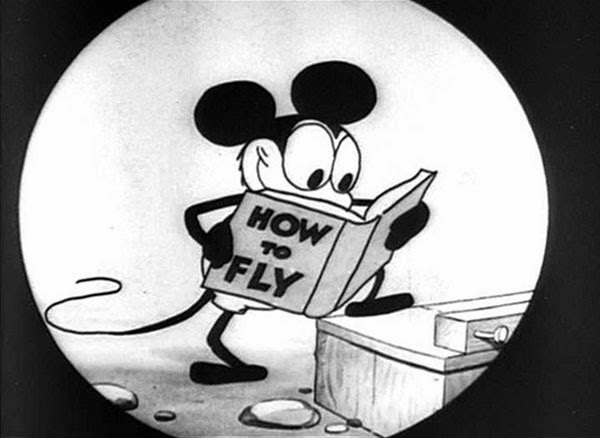 Mickey Mouse's first appearance was in the animated short Plane Crazy in 1928. The final section of “The Disneyland Story” concentrates on Mickey Mouse through some of his famous animated shorts. Walt’s statement about Plane Crazy that “maybe it was crude” is priceless. There’s a huge difference between Mickey’s first appearance in 1928 and the likable guy we see in Lonesome Ghosts nine years later. We also see his signature moment about The Sorcerer’s Apprentice, though it’s less powerful in black-and-white. For younger viewers accustomed to the harmless character in Mickey Mouse Clubhouse, this history should be surprising. It should be familiar to Disney fans but has value for showing how Walt presented Mickey in 1954. TCM usually does an excellent job with the intros and conclusions that bookend their features. Leonard Maltin is the right choice to appear in these segments given his knowledge and history with Disney. What’s odd is the ineffectiveness of Gary Landrum from Walt Disney Imagineering with “The Disneyland Story”. 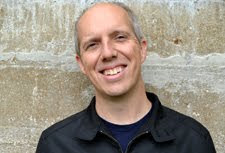 He joins TCM’s Ben Mankiewicz yet has little to offer beyond standard material. The strangest moment comes when he’s asked what Walt would think of the parks today. After giving a lengthy intro about never speaking for Walt, Landrum does exactly that and believes he would be a “kid in a candy store”. This moment ends the presentation on a hollow note and reminds us that Disney is always selling the brand. The TCM partnership will benefit fans, but it’s still a marketing exercise. Like its founder 60 years ago, Disney looks for new ways to package the magic for the largest possible audience. I'm sad I missed this one. I'll have to check it out the next time it airs. I love me some Disney, and this sounds fascinating. I'm unsure if they'll show this episode again, but TCM is rolling out a lot of the vintage Disney material every several months. I'm guessing this wouldn't be hard to find on the Internet somewhere, though. I really enjoyed seeing this on TCM, though I think I had to leave the room for part of it...I don't remember any of the Mickey's Clubhouse part. I really liked the compilation nature of it, though - a few newsreel type pieces, promos/clips for the park and movies like Davy Crockett, some older shorts, and clips from older movies, etc. Disney has always had a knack for marketing that doesn't really seem like marketing, which is admittedly what this is. I was surprised but pleased on the whole by the inclusion of the Song of the South footage. I don't know if they'll actually show the whole thing on TCM, but if they were willing to, it'd be a perfect venue for it. TCM already has relationships with prominent African-American scholars like Donald Bogle, who could guest and give really solid historical and cultural context for it. I actually was just referencing Mickey Mouse Clubhouse to show how different it is from the early Mickey shorts that were part of this episode. I was intrigued by how well Disney made this episode not feel like a commercial despite pushing the upcoming Crockett episodes, Disneyland, and so many other parts of the company. It was brilliant and ahead of its time. I still doubt that current Disney management under Iger will release Song of the South in any form. They'd prefer to act like it doesn't exist. Still, I agree that their best move would be to show it on TCM with the context added. Then it becomes a matter of showing the history and not a commercial venture. They're showing The Three Caballeros in March, and some of the sexism is off the charts in that one. Didn't see this, but it sounds like a really intriguing blast from the past. It's worth checking out, assuming you're interested in Disney history.